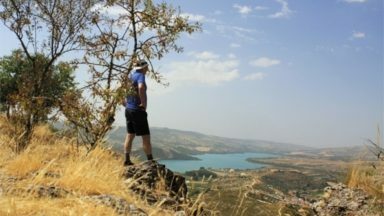 Andalucía's Natural Parks enjoy generally mild winter, spring and autumn weather so walking can be enjoyable at any time from mid September through to mid June. 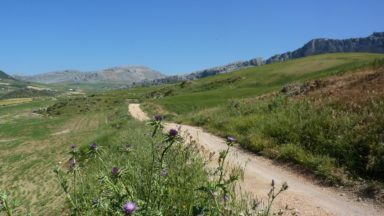 Even in mid summer walks can still be comfortably undertaken in the higher Natural Parks of Cazorla and La Alpujarra. 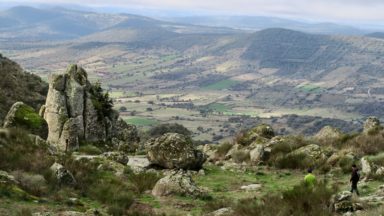 The six areas covered by the guide are in and around the villages of Aracena, Grazalema, Jimena de la Frontera, Cazorla, Bubión and Cómpeta, all of which lie within protected Nature Reserves. Walks are graded into four groups: easy, easy/medium, medium and medium/difficult. Most walks involve some steep ascents and descents but the routes have been chosen so that all are within the capabilities of anybody in good health who walks on a regular basis. The guide contains a mixture of half-day and full day walks. 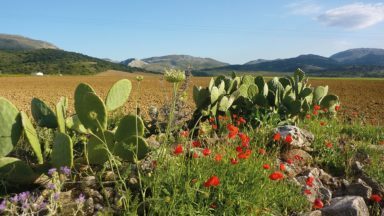 Walking in six of southern Spain's most beautiful Natural Parks, all of which share a slice of the magnificent range of the Cordillera Bética. Includes the author's recommendations for the best places to stay in or around southern Spain's most beautiful mountain villages, many of which date back to the Moorish period. The river crossing described in line 3 of the walk description has been washed away by flash flooding. In order to cross to the River Guadiaro’s east side from the railway station, head up hill, passing left of the shop Electrica Serranía de Ronda, to meet the road leading to Ronda, the MA-7401. Turn right, cross the bridge over the Guadiaro, then on its far side hop over a crash barrier and follow a narrow path down to reach a track running along the river’s east bank. This leads you to the far side of the damaged bridge where you pick up route notes at the point ‘Sendero Río Guadiaro, 7.3km’. There's a little wire and post gate, normally not attached but when it is, it's opened with a loop of wire about 2m beyond the metal gate which is now kept locked. page 137. Following torrential rains then flooding in October 2018 the point where you cross the River Almarchal has been affected. You now have to walk closer to the farm in order to get to the river then carefully cross using a stick for balance. On the other side of the river you now need to climb over a huge tree that has fallen across the path. Page 137. Paragraph 4. The salmon-coloured house is now painted cream. Walk 14 page 116: Two of the concrete stepping stones over the river have washed out but river crossing still doable. Walk 23 page 164 : Bridges have now been added for the crossings described along the Cájula river. page 167 3rd paragraph: The sign for Sendero is no longer there but the path is easy to spot, deeply descending to the right. Walk 23...page 167... line 13..." Presently there is no sign pointing up left for Sendero so .... climbing gently now , for some 900m (it's worth pacing this out) just as the track begins to bear round to the left - cut right down a narrow path . 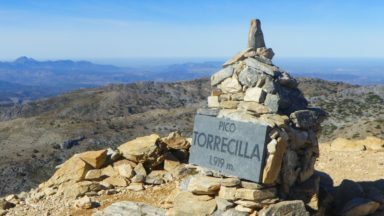 Height of Puerto del Tejo is incorrect should read 1566m instead of 1766 m.
The ascent/descent stats for this walk should read 45m of ascent, 140m of descent. "Now, I’m not one to give glowing reviews if they are unwarranted. In this case that’s not a concern because these guides are really well presented and well written. 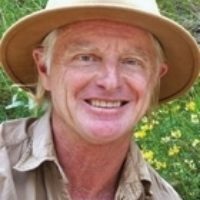 From what we’ve seen so far – your guides look to be the “bibles” of hikers. They look great, read great, they’re a great size, and contain loads of extra stuff that would benefit anyone. Even my other half was impressed and he’s seriously tough to please."